You cannot beat the warm, fuzzy festive feeling at this time of year. Galway goes all out, and with lights and decorations and with extra lights this year - we simply cannot wait here at the Forster Court Hotel. 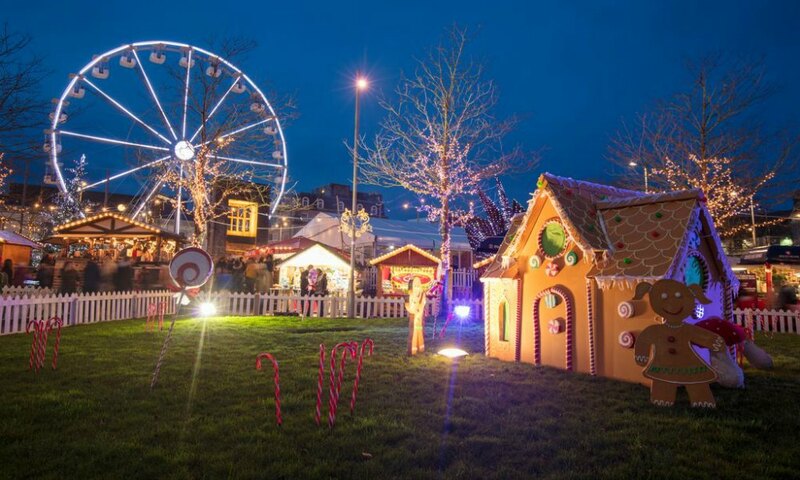 We are super excited to see the market returning to Eyre Square – Oh....the anticipation of what is to come – I think we all revert to our childhood and what better way to get into the Christmas spirit than a stroll through the Galway Christmas Market on our doorstep. Explore the unique stalls and crafts, savour a warming mulled wine or hop on the Big Wheel for a bird’s eye view of the Christmas lights!!!! Explore a host of new events and attractions at this year's market, including vintage carousels and amusements, pantomimes and festive performances, Santa's grotto and pop-up shops at various locations throughout the city. Galway really goes ‘all out’ at Christmas time, with decorations and lights everywhere you turn. The shops of Galway have spectacular window displays full of Christmas scenes. In particular, the Brown Thomas store on Shop Street is a window display always to look out for. Hop on The Santa Express to take you on a train tour discovering the sights of the city or stroll at your ease, with a host of boutique stores and shops located within easy reach along the winding cobbled streets of Shop St and Quay St.
Wrap up in your woollies in the crisp winter air and explore the weekend Galway Market by St. Nicholas Church. This is the place to pick up local produce, Galway goodies, gifts and cheese!! The Traditional Christmas Market runs every day, 9 am to 6 pm from the 14th to the 24th of December with lots of homemade Christmas foodstuffs and a lovely atmosphere with all the decorated stalls lit with lights and candles. The Eyre Square Shopping Centre located just across Eyre Square, with over 70 shops to choose from including your typical high street stores - where you are sure to find those stocking fillers! Don’t miss TK Max, Lanidor and the Corrib Shopping Centre, also just off the far side of Eyre Square. 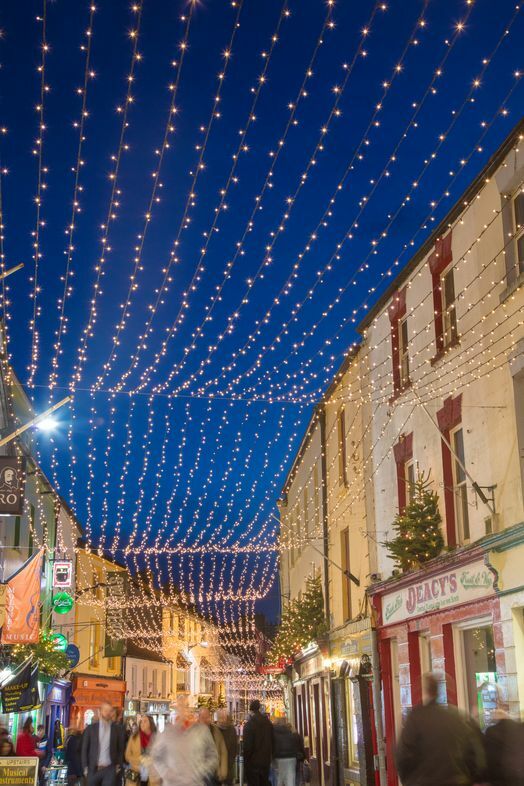 Further afield, travel to Standún near Spiddal, a 30-minute drive from the city for a unique Irish gift or the newly opened Glass Factory Craft Village at Galway Irish Crystal with a Christmas Gift and Craft Village, which is open 7 days a week in the weeks before Christmas.